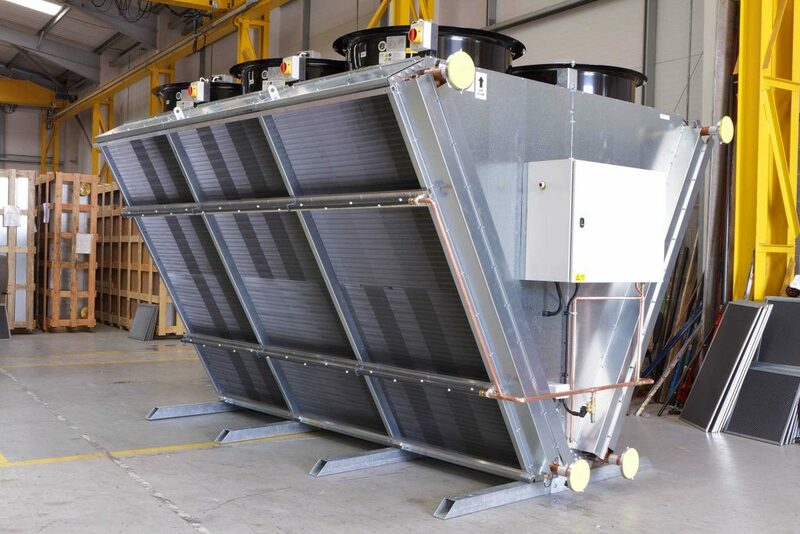 Many process businesses have been opting to switch to adiabatic coolers when their traditional cooling towers reach the end of their lives. In fact, many are now making the switch even without a need to replace an ageing cooling tower. The drivers for these decisions are the business benefits of adiabatic cooling which include cost reduction, lower risks and a far more environmentally friendly profile. Adiabatic cooling reduces heat by methods such as evaporation, and changes in pressure. The pre-cooled air can then flow over a closed loop coil. This is essentially a natural process, being replicated to produce cooling in the process setting. So, what are the five key advantages of adiabatic coolers over the old-style cooling tower? Traditional cooling towers are built to reduce heat by evaporating water – lots of it. But even in the UK, water is becoming increasingly scarce, and expensive. Climate change and population growth have impacted both the supply of water, and the demand for it. Neither of these factors is likely to change, so water charges are going to increase steadily. For this reason, the future cost profile of traditional towers looks increasingly unfavourable. Adiabatic cooling is far more sparing of water, with many applications using 90% less water than an open cooling tower. Legionella is produced by bacteria growing in water, and open towers using water cooling have been involved in many incidents where members of the public have been made ill, or even died, because of contamination in droplets distributed by the tower. Operators of these towers often face higher insurance premiums because of the risk they pose to public health. An expensive and fully documented maintenance regime is required to manage the health risk. With adiabatic towers, the risk of bacterial contamination is much lower. This makes the cooling process safer and more environmentally friendly. Many members of the public, seeing vapour pouring from a tower, mistakenly think it is smoke, and regard the process facility as a polluter. With adiabatic cooling, there is no vapour release, so no “smoke”, even though this may in fact, have been harmless vapour. This change helps the local profile and reputation of the process business. Water treatment is required for adiabatic towers. But the use of chemicals is much lower than with a traditional cooling tower. Many coolers use UV treatment to make sure the water is safe. Adiabatic processes occur naturally in cloud formation. It’s fitting then, that one of the fastest growing applications of adiabatic cooling, is in data centres that service cloud computing. As IT systems get more powerful, they produce more heat. And as they get smaller, their power density increases, further increasing the heat they generate. A data centre’s need for power and water can have a significant impact on local resources – a large data centre can use several million gallons of water in a year. Adiabatic technology has been in used in data centres, for air handling, but only now is it becoming available in small, pre-packaged units, for use on the process side. These units use far less energy, so the data centre infrastructure costs less, and this reduction can be passed on in lower charges for cloud computing. The major advantages of adiabatic cooling are now becoming more widely known and appreciated, and we can expect many process industries to adopt this more eco-friendly, efficient and economical cooling technology in the future.